Kirchlengern, 25 March 2014. 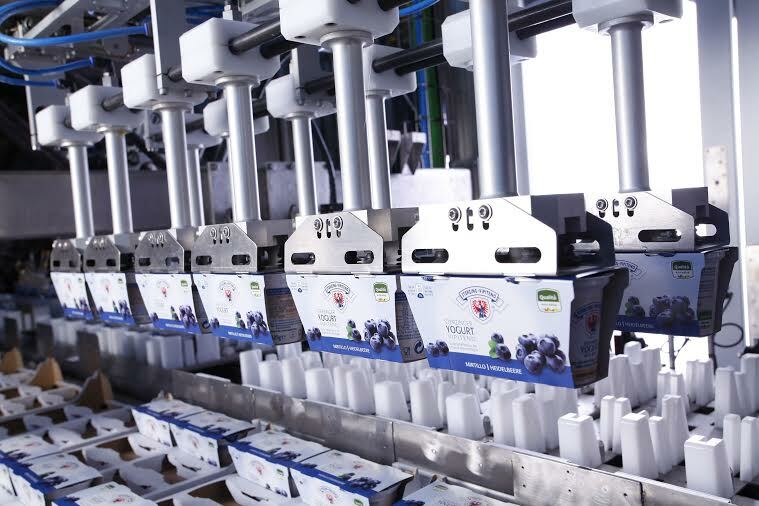 Milchhof Sterzing, in Italy’s South Tyrol, has been modernizing its equipment on an ongoing basis over the last several years – and each time it relied solely on the packaging machines of the OYSTAR Group. Now the dairy company is producing on eleven machines built by the leading international machinery maker and has thereby managed to double its production capacities. Now the packaging process runs as follows: The filling machines move the yoghurt cups along a single-lane conveyor belt to the SetLines, where servo-driven switches separate them onto dual-lane belts. 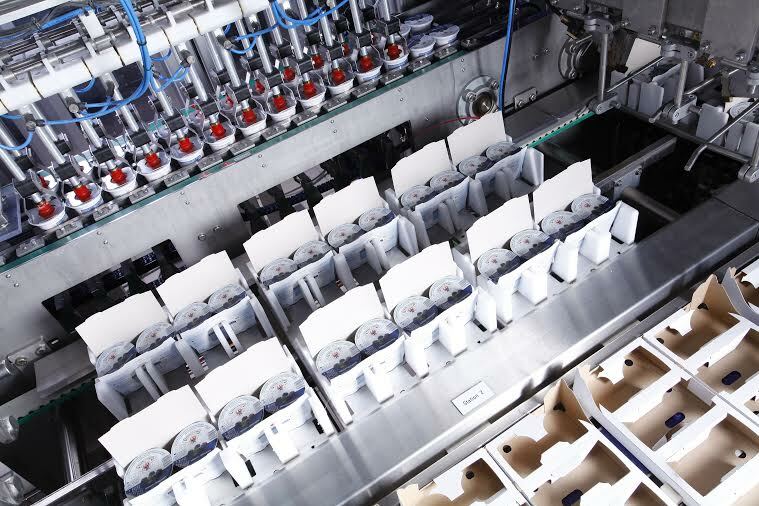 When operating without sleeves, the single cups are then grouped and positioned into perforated cases using a servo-driven expansion joint. Alternatively, 24 cups are placed into the pick-up position, drawn by suction and fitted with sleeves into 2-cup or 8-cup sets. 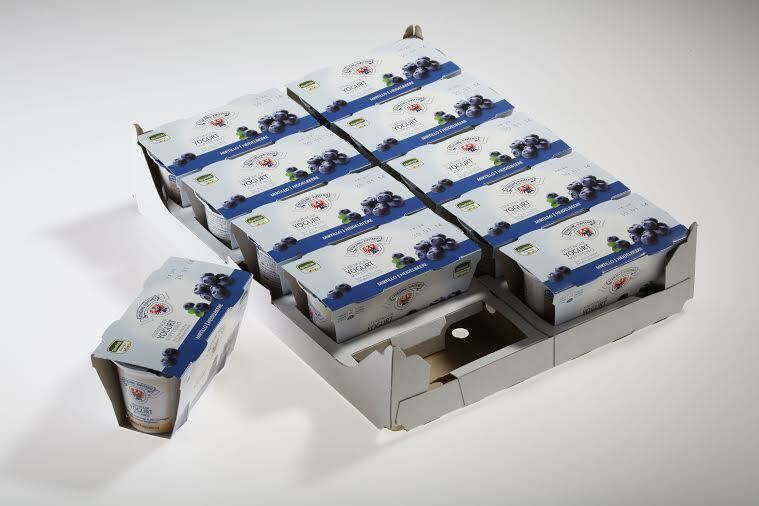 Once loaded with single cups or cup sets, the cases are then transferred to a transporter and fed to the palletizer. A+F Automation + Fördertechnik GmbH is a globally operating company in the OYSTAR Group with a total workforce of 170 employees. The company specializes in the design, manufacturing and servicing of fully automatic final packaging systems.